Panoramic view of our pipe frame deck awning, directly on the water. This thing can really hold up even when exposed to the most extreme elements. 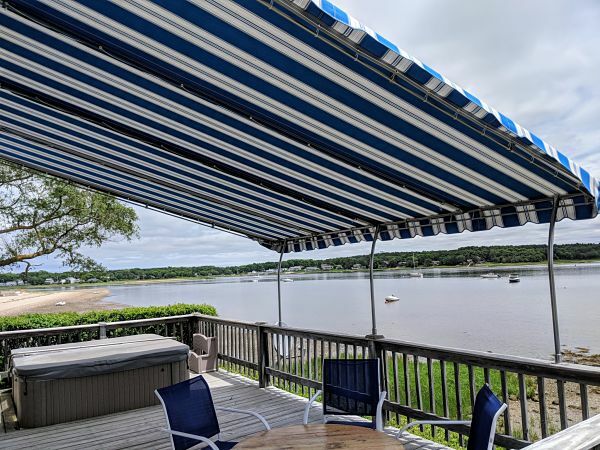 With a new deck awning, this customer will enjoy a great view with added shade. It will even keep sun off the patio door and reduce temperatures indoors! Another view of this stunning deck awning with gorgeous harbor views. Can’t beat it!